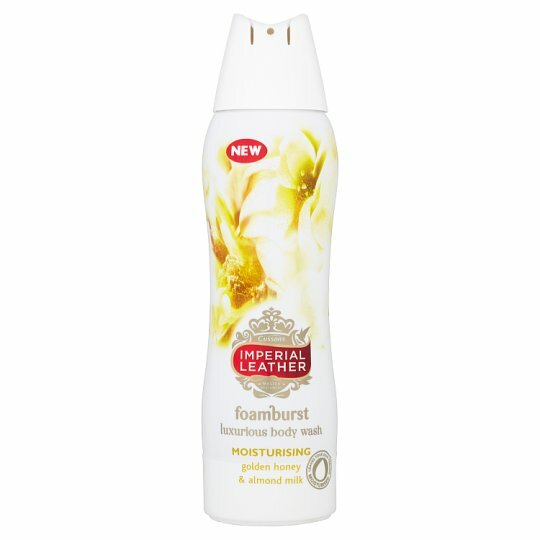 Foamburst - the luxurious body wash. Discover our most luxurious and moisturising body wash, infused with moisturising skin conditioners, set to instantly transform the way you feel. Watch the unique gel change right before your eyes into an abundance of rich, creamy lather that glides across your skin like silk. Foamburst is crafted by experts to deliver you an unparalleled washing experience and after just one wash your skin will feel effortlessly soft, cleansed and moisturised. Over 90% of females agreed that their skin was left feeling moisturised after using Foamburst. Immerse yourself in the exquisite, intense fragrance burst of golden honey and nurturing almond milk, set to cocoon your skin and every one of your senses. Directions: point away from eyes and dispense a small amount directly into palm of hand, spread over body and rinse thoroughly.